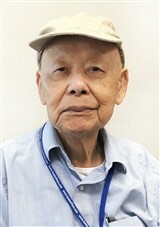 Yung C. Wu, Ph.D., Retired Chemist at the National Institute of Standards and Technology, has been recognized by Marquis Who’s Who Top Scientists for dedication, achievements, and leadership in chemistry. Growing up in China during the feud with Japan, Dr. Wu understood that acceptance to college was extremely difficult. Having to choose your field of study before applying to college, he decided to delve into the realm of chemistry as engineering would be too overcrowded. He attended Sun Yat-Sen University in Guangzhou, China, receiving a Bachelor of Science in 1947. Immigrating to the United States in 1950 to further his education, he attended the University of Houston, where he earned a Master of Science in 1952. Soon thereafter, he obtained a Doctor of Philosophy in chemistry from The University of Chicago in 1957. Most recently serving as a research chemist at the National Institute of Standards and Technology from 1967 until his retirement from the industry in 1995, he formerly served in the same role at Oak Ridge National Laboratory from 1966 to 1967, IBM from 1963 to 1966, and the Portland Cement Association from 1958 to 1962. He holds profound expertise in pH, conductivity and thermal safety, and he was the inventor of an absolute determination of electrolytic conductivity and a sample simulator for breath alcohol testing. A contributor of myriad articles to professional journals and several books, he considers the highlight of his career to have been solving a problem with the second degree of dissociation constant of sulfuric acid and obtaining his degree despite the war in China. He is a member of Sigma Xi and former member of the American Chemical Society. In recognition of his exceptional achievements in chemistry, he received the IR 100 Award in 1989. Notably, he has been highlighted in the 57th and 58th editions of Who’s Who in America. Next Peter J. Denning, Ph.D.